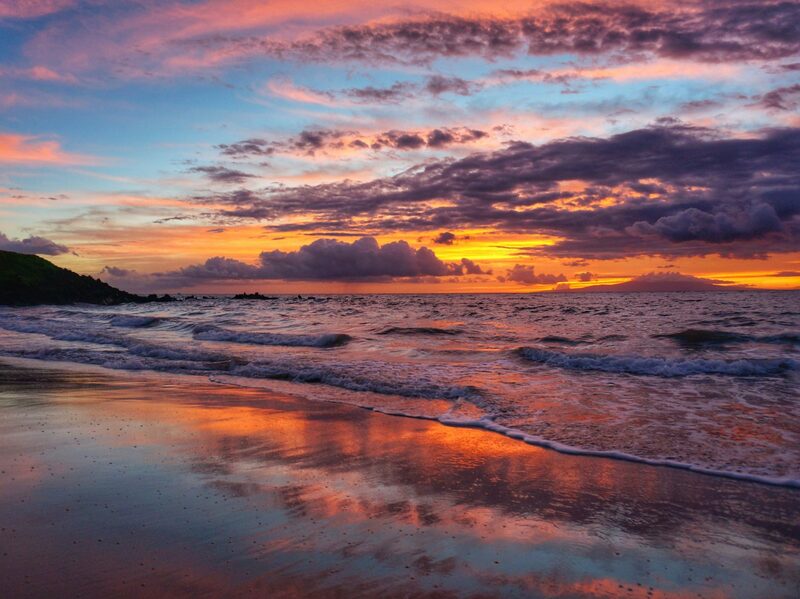 For nearly 25 years Maui had been voted one of the world’s best islands. 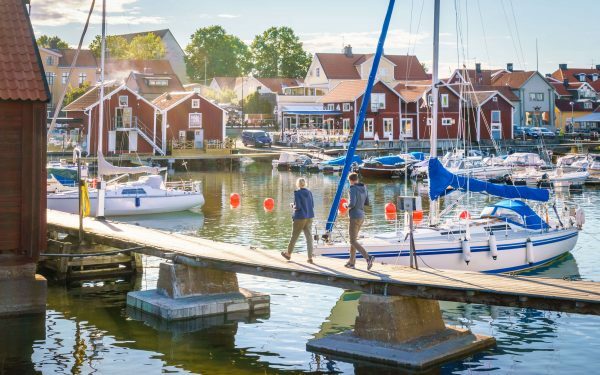 It boasts beautiful beaches, massive waves, picturesque waterfalls, stunning sunsets and a wonderfully winding road to explore with endless rainbows. There are lots of outdoorsy activities to fill your days and unlike some of the quieter islands in Hawaii there is a robust nightlife as well. 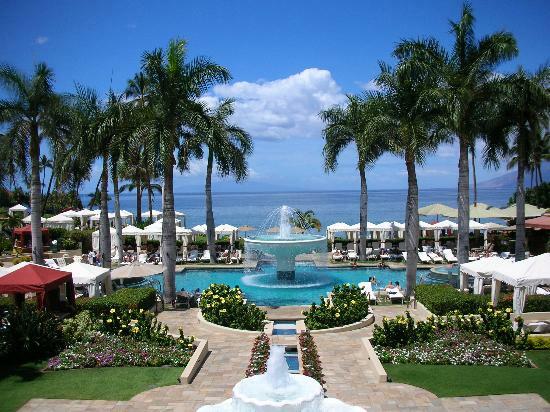 The stunning newly renovated Four Seasons Maui was my 5-star luxury hotel of choice. It is one of those resorts that caters to your every desire…so be prepared. Your group may never want to leave the property. 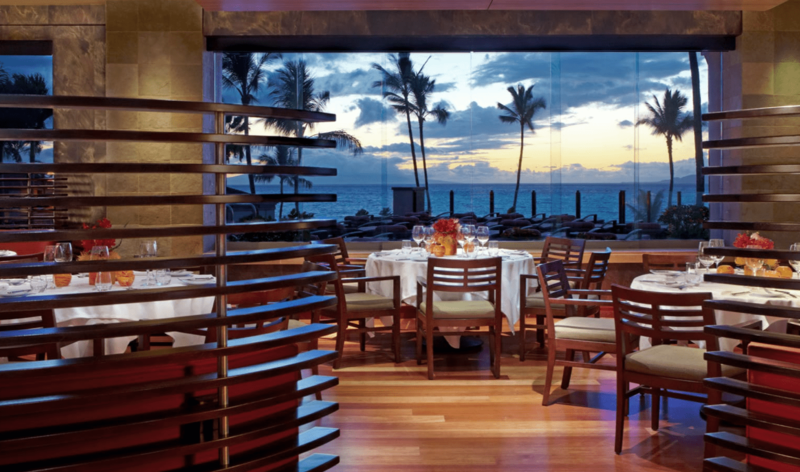 There are three Fine Dining restaurants and two pools (one of which is adult-only with a swim up bar) with a stellar ocean view. There are shops, and daily local artisan displays. 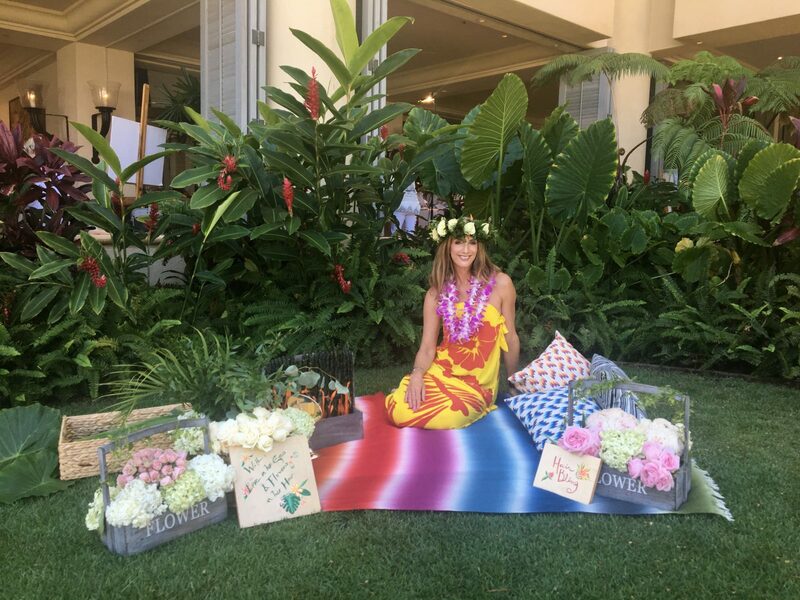 You can test your Hawaiian traditional skills by making flower crowns or lei’s and taking hula lessons – ask for Kapu’uwai, she was a very kind and patient instructor. There are also lots of water sport options including stand up paddle board, SUP yoga, and traditional outriggers to try. 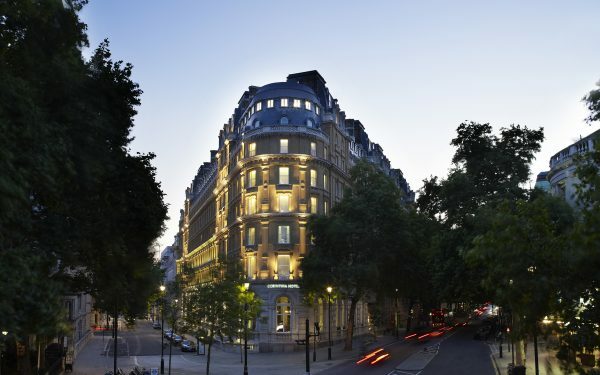 What they don’t offer on property, the concierge will arrange for you off property. At night the lobby bar scene offers live music and it’s teeming with beautiful guests. 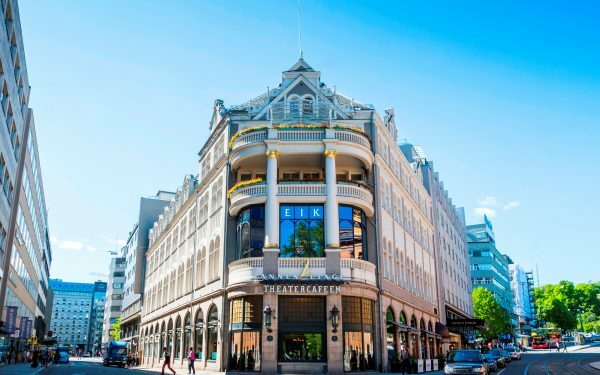 The Four Seasons host a lot of weddings, so if you and your girlfriends are really diligent, you can definitely find yourself a ceremony to crash. 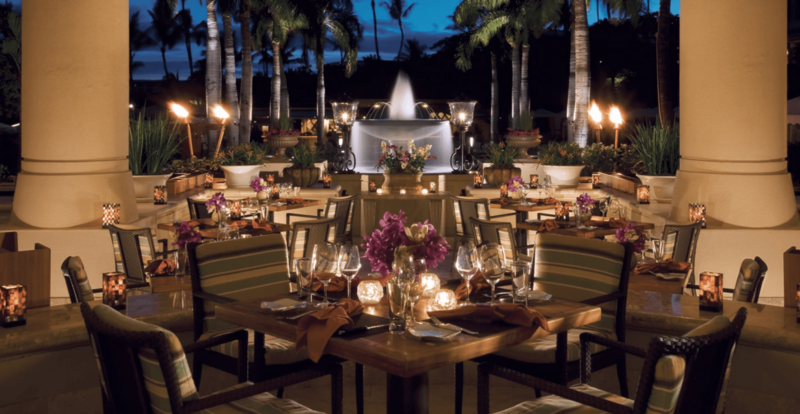 Four Seasons dining options include Wolfgang Puck’s Spago, the poolside Ferraro’s and DUO Steak and Seafood under the direction of executive Chef Craig Dryhurst. Dryhurst a European transplant from the UK has taken traditional Hawaiian dishes and given them his own fresh Brit twist for some great bursts of flavor. Try the Grilled Octopus. The property also offers the FS Wellness Your Way program. 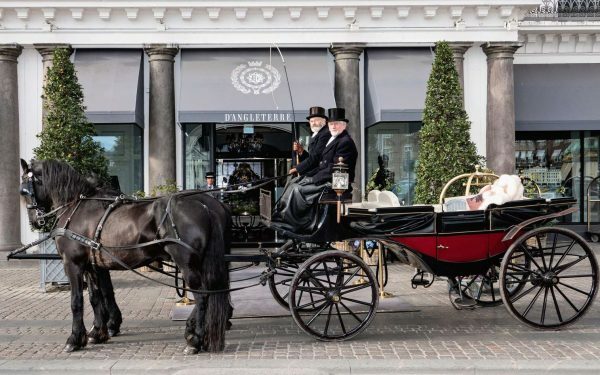 Their special diet expert, Jolie Nolan, will provide detailed instructions to the staff for guests looking for assistance in navigating the restaurant menus. One of her favorite healthy dishes is the Heart of Palm Ceviche. She will also work with the kitchen to design a meal plan to specifically meet a guests’ culinary needs and dietary restrictions. 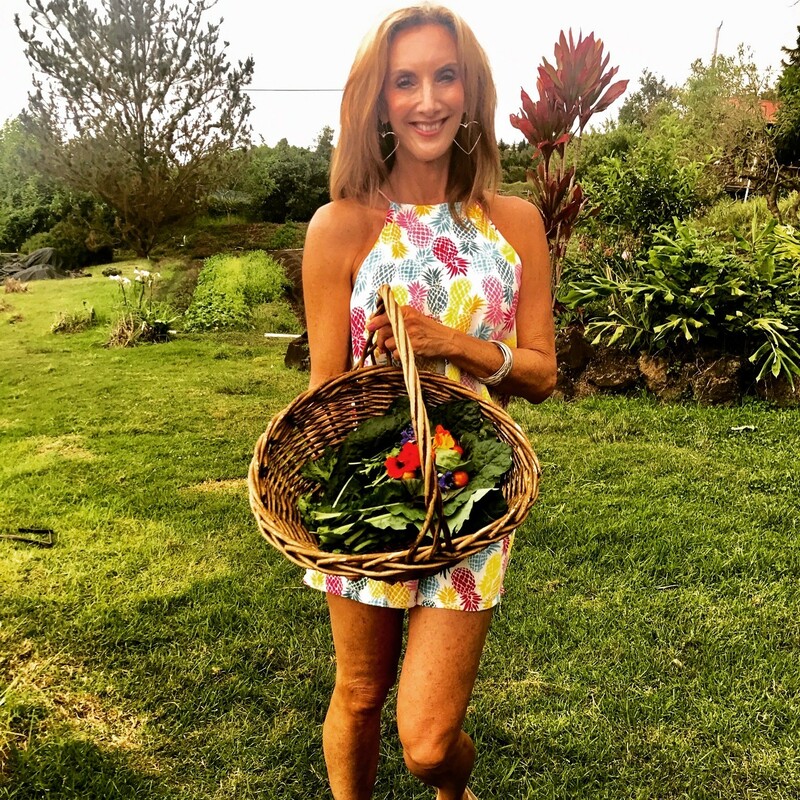 On Maui many of the Chefs, Ranchers, Fishermen and Farmers are working together to create a foodie environment where island ingredients or “ono” flavors are across the board a featured attraction. One of the most unique places to experience this is O’o Farms. Guests to the farm are given their menu description, then they’re led through the gardens for a lesson in local growing. Visitors taste the greens, fruits and veggies they pick and are all basketed. 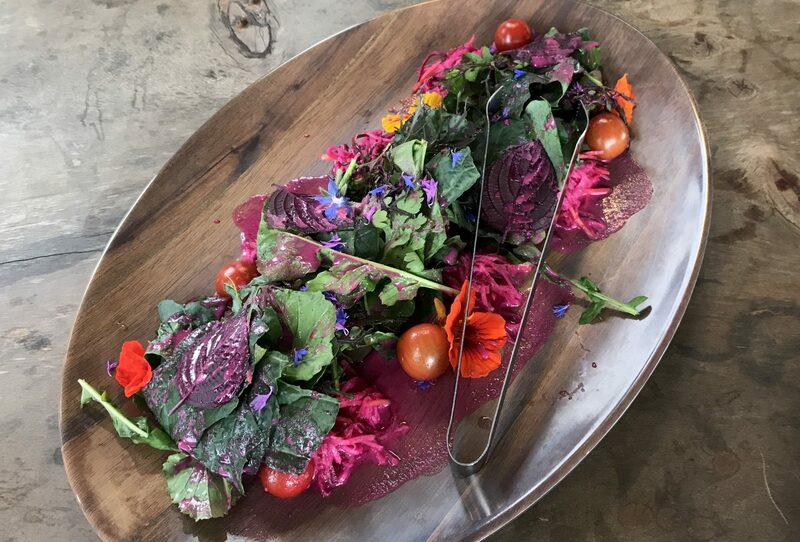 This is followed by a cooking demo at the wood fired oven where everything each visitor put in their basket is prepared for their Al Fresco lunch. The farm has its own Coffee Mill and Roasterie where the beans grown on property are ground. Fresh fruit-based desserts and the O’o coffee round out the meal. It is a by-reservation-only farm-to-table coop collaboration and experience not to be missed. 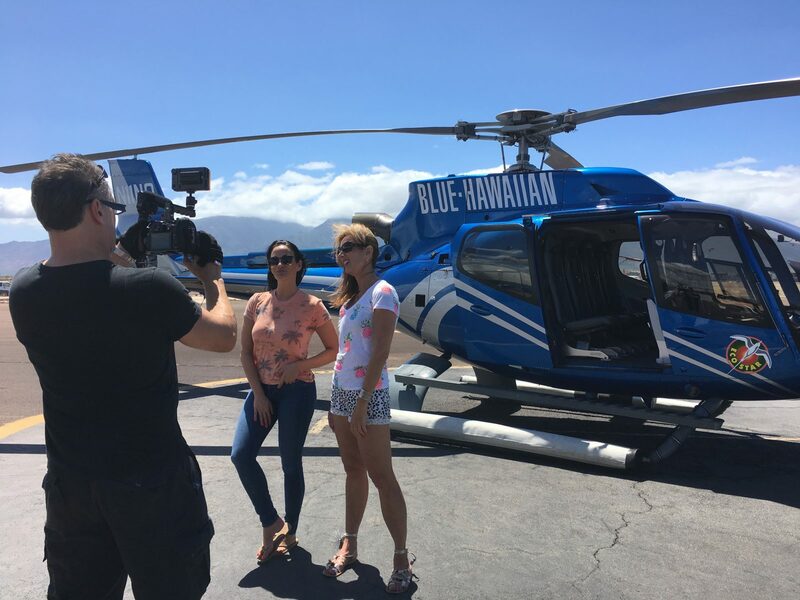 The Hawaiian Islands are rich with endless tropical beauty and the best way to get a bird’s eye view is on a Blue Hawaiian Helicopter ride. 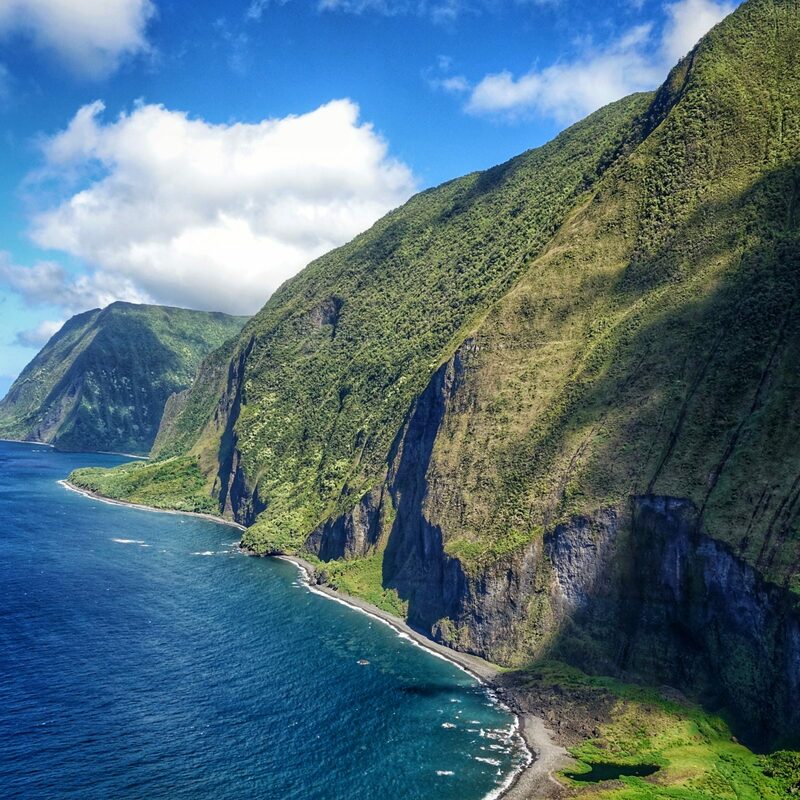 The company has been Hawaii’s air-tour leader for over 25 years and serves all four major Hawaiian Islands. Their birds offer panoramic glass for maximum visibility, a cockpit camera which records your ride, and super knowledgeable pilots who are entertaining throughout the flight. 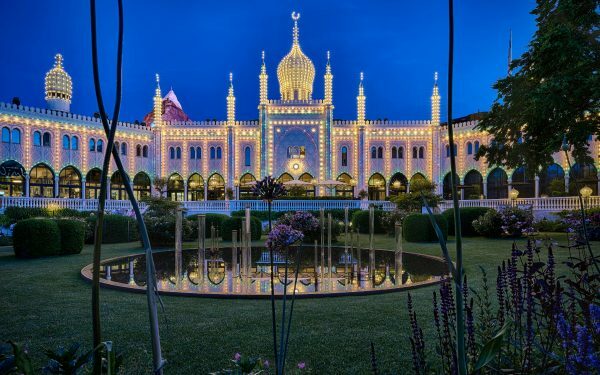 If you only do this bucket list activity once in your life this is THE place. 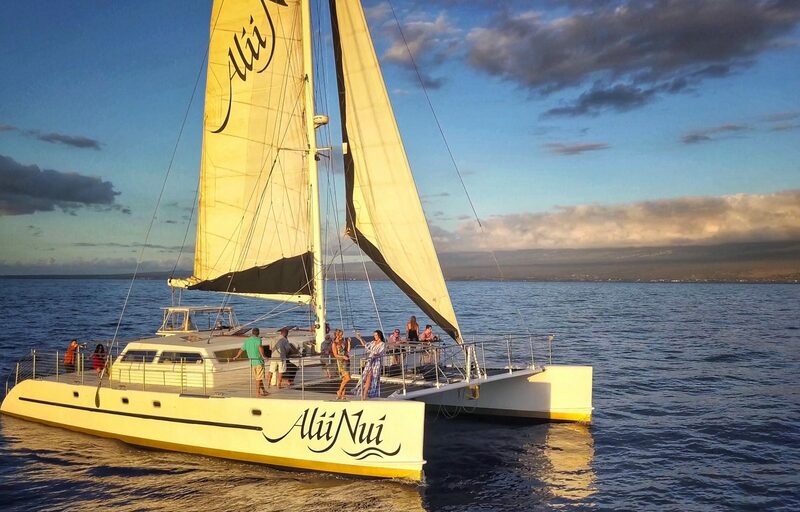 A Royal Ali’i Nui catamaran ride is another totally Hawaiian thing to do. 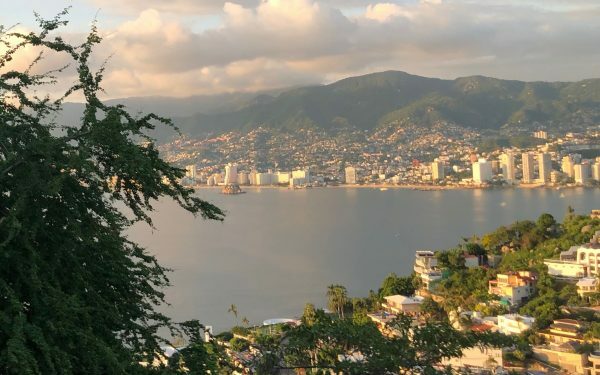 You and your friends can set sail for a sunset dinner cruise like we did; try a snorkeling adventure with turtles; or go on a Whale watching excursion. For the most kitschy cool day trip, pick up a DVD-guided drive of the Road to Hana. We got ours at the last gas station stop in Paia. The recording was hilarious, while the gas is over the top expensive, it is the only gas station until you hit Hana. Take your time and make all the stops – it’s super fun. Be prepared because the road is very steep and windy and you could experience car sickness. We found a guy who entertained us with retired show parrots; took photos in the bamboo forest; and saw the painted eucalyptus trees. We stopped at Coconut Glen’s at mile marker 27.5 for some really tasty organic, vegan ice cream..Beware of the mosquitos though…while you’re tasting your sweet treat they’ll be nibbling theirs! YOU. We found beautiful mountain top vistas; loads of waterfalls including the infamous seven pools; fresh banana bread at Halfway to Hana; and the most stunning black sand beach called Wapananapa.